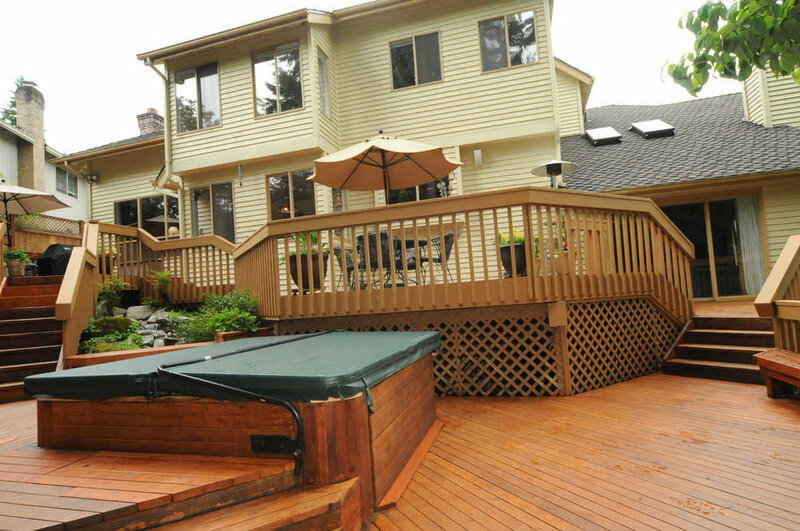 Relax on the backyard deck & listen to the babbling brook and waterfall. Enjoy the natural beauty of the backyard & 14+ acre Greenbelt. Prepare to entertain in your Chef's Island kitchen w/cherry wood cabinets, full box drawers, Decor`gas cook-top, Advantium microwave, Bosh w/d, crown molding & slab granite. Pamper yourself in the spa-like master suite with heated tile bathroom floors. Stay connected with Enhanced CAT5 thru-out & network cabling for digital cable or satellite & PBX phone syst. New 50yr roof. Fun Crest neighborhood. Lake WA Schools and more!